This has so many errors that it is about to make me lose the curl in my hair! 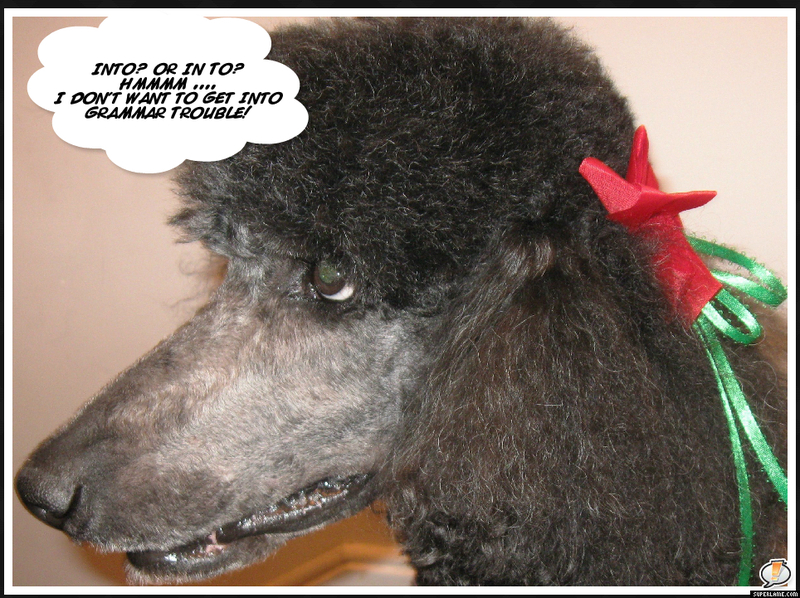 And I cannot begin to imagine what these mistakes will do the hair of my Editorial Assistant, Mom Karen. You know how she is! Her hair is so straight that there’s practically no hope for it. I’ll have to close my eyes when I look at her! Pass this along to people as a reminder of why grammar, spelling and all things related to reading and writing matter! Wordy Wednesday: Anxious or Eager? People use and misuse the words “anxious” and “eager” so often that my Editorial Assistant, Mom Karen, has suggested that we share this with our readers, all of whom would not make this mistake. However, because of the frequency of misuse, we are sure that you will want to be reminded of this grammar “issue” and discuss it with your colleagues, friends and family, or anyone else who misuses these words. 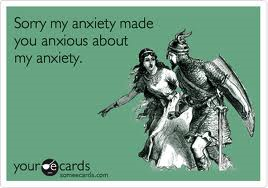 Being frightened of something causes one to become “anxious.” Think of anxiety as a hint of the meaning! For example, you are anxious about having to fly in a jet, but you are eager to visit your friends. It’s so simple, but used incorrectly far too often! 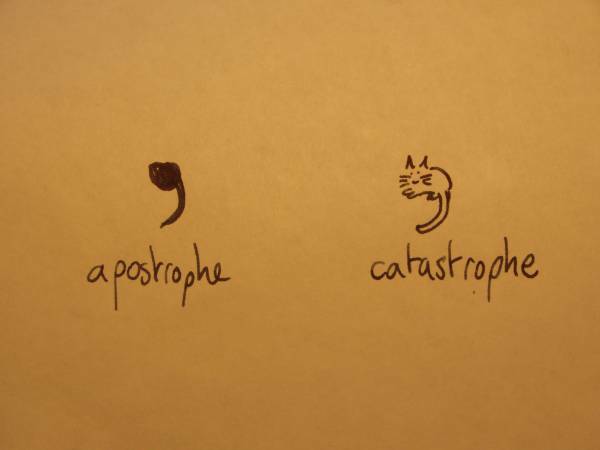 Thoughtful Thursday: Grammar and Punctuation! Continuing on with our thoughts on grammar and punctuation this week, we would like to propose a test — not a toast, but a test. A new test on grammar for students in England is quite the buzz these days “across the pond.” Because of the buzz, the BBC News Magazine invites readers to take a quick quiz on grammar. If you have a good grade on this test, then you deserve a toast! And don’t forget to find us on Fantabulous Friday! 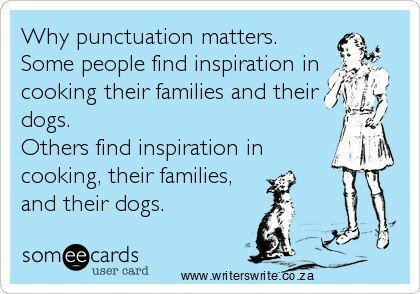 Wordy Wednesday: Without commas, yikes! Without commas, the first sentence is positively ghastly and conjures up images of areas roped off with yellow crime scene tape. But the second sentence — with the correct placement of commas — changes the meaning entirely. So, the next time you’re thinking of skipping a comma or two, look back at the sentence! It may have an entirely different meaning without the commas — a meaning that you might not want to convey! Wordy Wednesday: “Into” or “In To”? This is one of those quirky grammar questions because the use of “into” and “in to” in verbal conversation probably won’t be problematic. The difficulty occurs more in writing. Lucky for all of us, this is pretty simple. Now, have a really wonderful Wednesday because you have this grammar issue solved! And note to my readers: Remember that tea and those scones that I mentioned on Monday? I have not had them yet! If you’re using the word to mean “to reduce the force or intensity of,” such as “restrain,” then “bated” is indeed the correct spelling. In spoken language, the words sound the same, so you don’t have to worry. 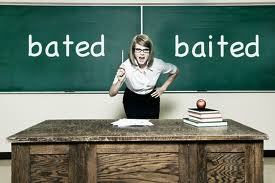 But you’ll need to use “bated” unless you’re talking about fishing!